Well, I pretty much knew it was going to happen as soon as they were bounced out of the playoffs. This poster downtown is going to look real stupid tomorrow. At least he didn't do it for the money. 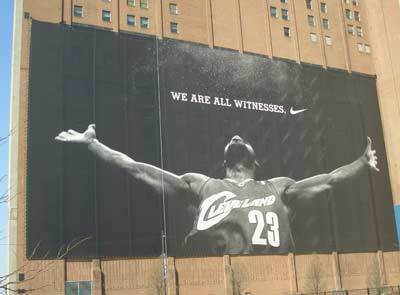 Cleveland folks should show some respect to how much he elevated our game. We hadn't been contenders since the days of Larry Nance; remember those Cavs?